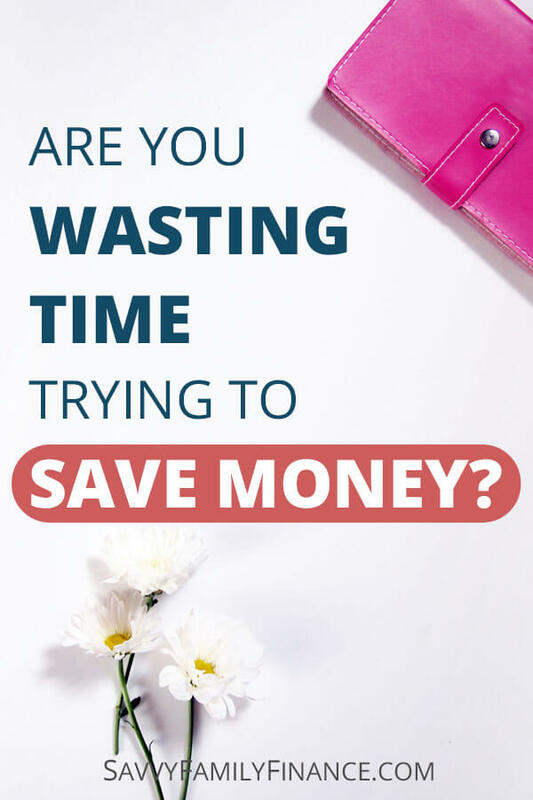 Are You Wasting Time Trying to Save Money? Home | Are You Wasting Time Trying to Save Money? Inside: Do you spend too much time trying to save a buck? Learn when to say “stop” if you discover you are wasting time trying to save money. I don’t like wasting money. Does anybody? So, when it comes time to make a planned purchase, I like to research, research, research. That translates into some time on Google along with reading reviews. Yeah, I’m that person. A recent incident got me thinking, though. Do we work too hard trying to save a buck sometimes? “Incident” makes this all sound so foreboding and dramatic. It wasn’t, although it did raise my hackles. (Who says that? I am now my grandmother, apparently) The water filter on our refrigerator needed replacing. Basically, water was dispensing at a snail’s pace and who has time for that? So, off to Amazon I went to look up the price on the filter we bought last time. Unfortunately, the price went up about 25%. Well, fine. That was for the manufacturer’s version of the filter. So, I started reading reviews for replacement filters made by other companies that should work. This should come as no surprise as I often recommend checking out the store brand or generic line of foods and other supplies. Now, in the past, we tried an off-brand filter once before and there was a problem with the O rings and leaking. But let’s give another one a try, I thought. Finally, I settled on an after-market producer that had plenty of good reviews, even the recent ones. So I ordered two filters for less than the price of one name-brand filter. A few days later they arrive and … WTH? The main filter part seems fine. But the faceplate is completely the wrong shape and size. For kicks, I tried fitting the filter in, but not surprisingly, it didn’t work. So, I packed up the filters, returned them, and started yet another search. Bingo! Jet showed a page with the filter I needed. The box picture showed the refrigerator manufacturer’s filter and the page indicated it was sold by the refrigerator manufacturer. So, I ordered two filters (again, a far better price) and waited. Then waited some more because the package was delayed. After about a week and a half, they arrived. I pulled the boxes out and…they weren’t from the OEM. They were after-market filters. Uh-oh. Well, let’s try them out, I thought. I pulled one out. It looked promising since the shape and faceplate seemed right. But neither one would fit. No matter how much I jiggled the filter or pushed, it just wasn’t going to work. By now I was mad. It had been two weeks, two orders, and we still needed a new water filter. The first order, I had taken a chance on an after-market filter and that didn’t work out. Then I took a chance on an online store I hadn’t used before and was burned by them as well. I finally did what most reasonable people would do in the first place. I grabbed the keys, drove to Home Depot and bought the water filter at full price. Yes, I looked for store discounts, but none were available at the time. Forty-five minutes later, the water was flowing. Is there a lesson to be learned here? In my efforts to save money and a car trip, I wasted two weeks of time and had to deal with two returns. By not saving money, but saving time and sanity, we were able to get what we needed. I wasted two weeks dealing with orders, returns and sloooow water output all to try and save a few dollars. It’s not just water filters, either. I’ve wasted time buying cheap t-shirts that fall apart after a couple weeks. This wastes time because I then have to spend more time (and money) finding replacement shirts that won’t fall apart. Are You Wasting Money Just to Save Money? Sometimes, you just need to spend more money. Dealing with the water filter this month and having wasted money on cheap shirts in the past has taught me that if you have the money to spare, spend it to get what will work and will last. Quality matters. I will say it again. Quality matters. What I am NOT saying is that quality always costs more. Sometimes it does, sometimes not. You might get burned trying to figure out when you do have to spend more to get better quality. Have you ever tried to save money and have it backfire?